OK 99 Mill Creek, Pontotoc Co. 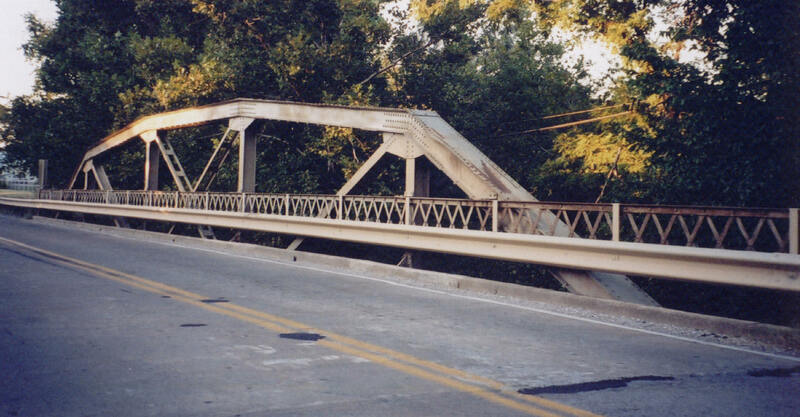 Located 9 miles south of Ada, this 100-foot Parker pony truss bridge was built in 1932 and still continues in service today largely unaltered. Above, a general view of the bridge. 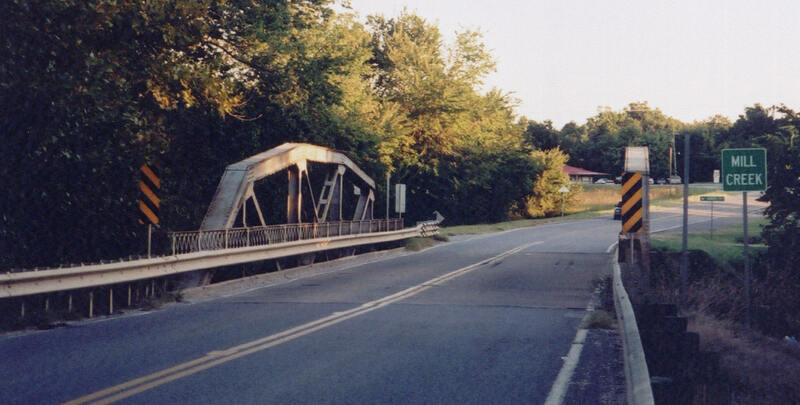 This bridge is nearly identical to the bridge that carries OK 99 across clear Boggy Creek only seven miles north of here. Below, a view of the truss. Note the old-time style lattice safety railing. Below, an angle view showing the side. This bridge appears to be in good condition.